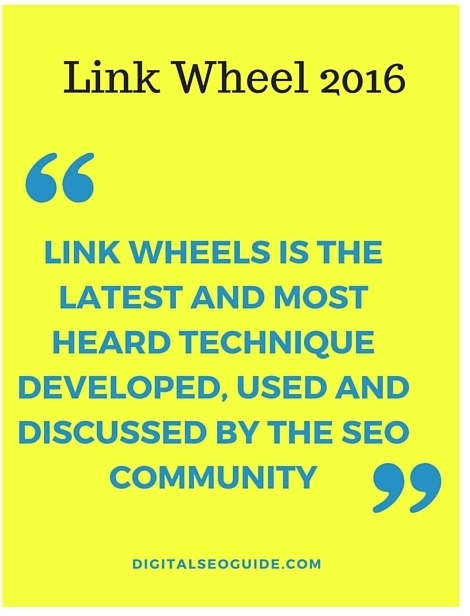 What is Link Wheel Strategy? Almost all the online marketing professionals are trying to find out the best tricks to get their websites in the higher position in the search engine. The webmasters and the Google both consistently make efforts to uncover these schemes. Link Wheels strategy is the latest and most heard technique developed, used and discussed by the SEO community. Yet since a recent couple of years the SEO professionals successfully applying this technique to improve their site’s ranking, the question is still on that is it a valid promotional strategy? Why Google regard this practice improper and often eager to penalize links developed through it. Here, in this article, we are going to discuss the changing face of link building and its role and importance in the upcoming year. At the start of the matter, we need to look at the actual theory behind the Link wheel strategy. There are usually 5 to 10 web 2.0 sites in a traditional link wheel where all the links are pointing to the main site and as the result, there is a structure formed in the shape of a bicycle or wagon wheel. In this condition, the page ran passes from one web 2.0 sites to another web 2.0 site strengthens all the links and then point towards the main site or the money site. So it is the point where the problem arises. A defined link wheel is quite easy to detect. And Google can easily understand the total game to earn artificially improved page ranks when a fresh website suddenly pops up with hundreds of backlinks attaché with it and pointing it to the money site. The situation gets more difficult when the engineers follow the shortcut by using this automated software that spins stock articles and creates the link wheel without any concern with quality. Google has clearly stated in its Webmaster Tools help section that if the webmaster is found involved and guilty for engaging in excessive link exchange scheme and build partner pages for the sake of cross-linking that reflects in poor quality of links, sources and the long-term impact on the reputation of the site, I will be regarded as the violation of Google’s Webmaster Guidelines and there are provisions for rank decrease, penalty or the removal of the site from the index permanently. Now the marketers are highly conscious about following the guidelines and creating the genuine link wheels. Undoubtedly, the link wheel strategy is still holding a good value in search engine optimization strategy formation. Building the web 2.0 sites is a part of the powerful linking strategy. In the upcoming times, there will be a special consideration over placing links and increasing the value by using the social networking sites. Along with it, there are many other techniques and the steps that are beneficial to the campaign and will be followed in 2017. 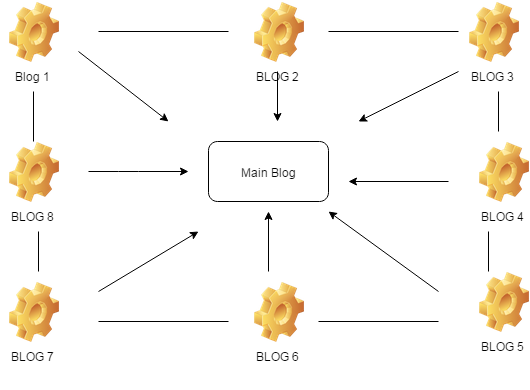 It’s true that the previous link wheel developers were in the favor of spinning a single article and using this content to build property in the link wheels while there are high variations as the results of it. In the changing concerns, due to the launch of Google Panda, there is a huge requirement of site quality. So obviously, the use of the spun article is a complete fail idea. Through creating and using the unique content is more difficult than a spun article, but it can save you from the danger of penalizing of your Web 2.0 website which is a big limitation due to recent changes in the Google algorithms. So we can expect that in 2016, link building will be done by using a totally unique, useful and valuable content. The care and the attention to the content and the quality will be the key elements for making the strategy successful. While sometime earlier the website engineers tend to rush out and build the whole link wheel in the same day; the practice was mainly penalized by Google and other leading search engines. Now, the pressure is on building the spoke properties over the time for earning higher profits. In 2016, webmasters will develop the new link wheels as a long term project, timely add new content and return to interlink the properties at a later date. Some time ago, link wheels were simply having 5 to 10 Web 2.0 sites pointing towards a center site in a perfect circle. By the time passed, the format was devalued by Google. Today, the creation and formation of some complex linking structures are a requirement for sound and successful link wheel strategy. The future link wheels strategy is going to be disjointed, with many feeder sites and backlinks pointing at various Web 2.0 properties, either some could be interlinked or can be stand alone. There are various methods for internal linking and to form a powerful link wheel strategy, yet there is not any specific and recommended one. Finally, when it is a fact that link wheels are the most preferred SEO technique of search engine optimization and traffic generation, the website engineer has to careful and cautious about how to link back to the main site. While the site is fresh one there should not be any shortcut process such as sending hundreds of links back to it through link wheels. The search engine spiders are highly alert and can easily catch the artificial link wheels. So this is suicide attempt and should be avoided. The method where the marketer sends the additional backlink to the Web 2.0 properties created and used in link wheel structure is a better idea for success. So in this year, we can expect the fair link wheel practices, natural link building, high-quality content and better control of Google search spiders on the performance of websites. No doubt, in the year 2016, link wheel will continue to maintain their status and reputation in online marketing strategy formation and implementation. Thanks for the nice post! I had tried Link Wheel which was more complicated than yours nearly 4 years ago, and after two moths, the traffic of my moneysite went from hundreds to 8K+. The method I used before just like a pyramid and the moneysite was on the top. But now I’m not sure whether the link wheel strategy still works for SEO or not. I would try it later, thank you so much! Not to mention names here, but i have seen some pretty decent blogs which use link wheels and still do well. you would think that this is an old school method but its not, link wheels still exist and people seem to be getting away with it easily. 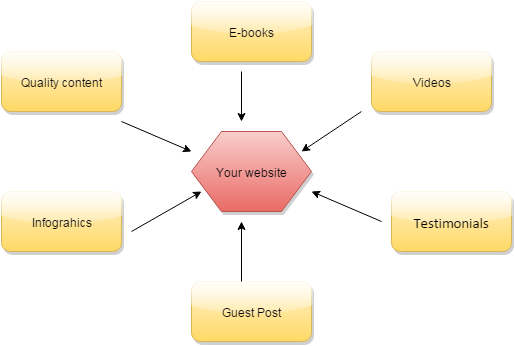 I am very impress with mostly all of your article i read this link wheel strategy for creating a bunch of sites around our main site very nicely explain.Keep it up. Hey Arpit, nice piece of Information about link wheel strategy in 2017. However, i wouldn’t touch any form of link-building that creates a suspicious pattern Google could trace. Is there any chance of making your linkwheel look natural as possible? Nice Post by the way! The link wheel is one such idea where several similar themed websites get together and create a circle of links. So website “A” links to website “B” which links to website “C” which then links back to website “A”. Link wheels can contain any number of websites from the three in this example.